Sleep Disorders In Children Explained - What's keeping your child from a full night's rest? What's keeping your child from a full night's rest? When we think of sleep disorders it's typically easiest to envision adults who are having trouble sleeping or something of the sort. However, this leaves out a whole subset of the population who are regularly afflicted with problems in sleep--our children! Sleep disorders in children are indeed fairly common, and in fact, many sleep disorders even tend to present themselves predominantly in childhood, sometimes before the patient grows out of it later in life. 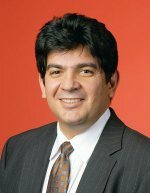 In Sleep and Dreams, we are fortunate enough to have Dr. Rafael Pelayo, a sleep specialist and pediatric neurologist at Stanford's Lucile Packard Children's Hospital, visit our class for a guest lecture every year. It's really a treat to have an expert on childhood sleep share his knowledge with us, and also to now pass that knowledge on to you. We'll start with a couple of main points Dr. Pelayo emphasizes about the sleep of children that are absolutely fundamental to understanding sleep disorders in children. From there we'll move on to an overview of the actual disorders themselves. Do you have something to say about sleep disorders in children? Do you think your own child may have a sleep disorder? Share your questions, concerns, and thoughts with us and our visitors, or read stories already told by other visitors. Dr. Rafael Pelayo gives a guest lecture about sleep disorders in children each year in Sleep and Dreams. One of the main points that Dr. Pelayo provides as foundation for the rest of his lecture each year is that sleep is a learned behavior. While we experience sleep as a biological force that overcomes us at a certain point in our day, how we experience that sleep is very much a construct of learned patterns. From when we are babies onwards we learn habits of ways to fall asleep and stay asleep at night, some of which can be maladaptive in future years. These habits, though, can be retrained, and this is sometimes a key to promoting healthy sleep in a child, and avoiding certain sleep disorders. However, not all sleep disorders in children originate from learned habits, and thus not all can be addressed solely through the development of healthy sleep hygiene. Many have to do instead with links to the child's Central Nervous System, an insight that will be elaborated on a little further down the page. First, we need to address a point that every parent should know. If one thing is clear about sleep at any age it is that the way we sleep impacts our behavior, which in turn impacts the way we sleep. What this means is that when children don't obtain sufficient quality sleep, as in the case of a present sleep disorder, it will assuredly show up in other parts of their lives. While sleep deprivation in adults tends to lead straight to fatigue and drowsiness, fatigue in children is often often surfaces in the form of hyperactivity or trouble paying attention. Unfortunately, these symptoms can easily be misinterpreted and those caring for the child, whether at home, school, or the doctors, can presuppose a learning or attention disorder, such as ADD. ADD has convincingly shown to be a mark of sleep apnea, a condition whose effect on children will be elaborated on later. In these cases, an important question to ask is whether or not the sleep apnea is the cause of the ADD, or more so an exacerbating factor. And indeed this presents itself as a major problem. The children get diagnosed and given medicine, such as Ritalen, which is effective in controling the symptoms. It makes the child more alert, but with the wrong diagnosis and the wrong root cause. Thus, what Ritalen really does in these cases is to serve as a mask of the true issue at hand, giving the child a label as a hyperactive individual when really the problem just lies in how well he or she is sleeping. The important thing to keep in mind here is that even though the child seems to get better with the medication, that does not mean the right diagnosis has been made. Dr. Pelayo likes to tell a story of a confident young boy who just couldn't figure out why he kept feeling tired. His mother insisted that he slept a normal amount of time at night, upwards of 9 to 10 hours, which for his age was right on track. At this point the boy chimed in with a telling line: "Doc, sleeping makes me tired!" Always keep in mind, as pointed out in the last section as well, that lack of quality sleep in a child will usually manifest itself in some sort of behavioral problems or abnormalities. When it comes to your child feeling good the following day, the amount of sleep is not always the issue--it's the quality of sleep. 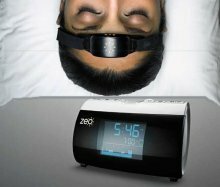 The apparent benefits of 10 hours of sleep in a night will be severely compromised if that sleep is broken up due to some issue during the night. But how do you know whether your child is getting enough quality sleep? Well, the answer really boils down to one question: Does the child wake up feeling refreshed? If the answer is no, as the boy in the above example let on, there's a good chance a sleep disorder could be compromising the quality of sleep. Do you think your child is at risk? Share your concerns or questions with us. The case of the little boy above turned out to be one of obstructive sleep apnea, and indeed OSA is frequently the culprit when a child continues to feel tired even after sleeping for a long time. The reason for this is quite simple. Sleep apnea is characterized by snoring that leads to a sucking shut of the airway during sleep. When this airway is shut and the sleeper is not breathing, the oxygen saturation throughout the body quickly drops. The apnea can sometimes last a precariously long time until the body can no longer take it, at which point it forces the sleeper awake to take a breath and replace the lost oxygen. Because the sleeper typically falls asleep only a second or two after the breath begins, these tiny awakenings are not remembered when the individual wakes up in the morning. For this reason, it can feel to a child or adult with sleep apnea that he or she slept continuously throughout the night when in reality he or she woke up dozens, or even hundreds, of times. In cases of sleep apnea, the quantity of sleep is not the problem--it is the quality of sleep that is disrupted with all of the micro-awakenings. And that translates to the boy above saying that sleeping makes him tired. Although when we typically think of sleep apnea we associate it as a disorder that adults have, it is rather prevalent in children too. Any parent who has a child that snores to any degree at all must be aware of this fact and the dangers therein. While sleep apnea in adults is correlated with obesity, the opposite is the case for children. In fact, children with sleep apnea often have difficulty gaining weight, because the growth spurts that would normally take place during the slow wave phases of NREM sleep get disrupted when the child awakens to breathe. To make matters more complicated, sleep apnea can also give rise to other sleep disorders that arise as symptoms of the belabored breathing. Bed wetting (or nocturnal enuresis, as it is technically called) is the most common example. The reason for this is straightforward. The body, as a mechanism to prevent you from having to wake up, makes less urine when you are asleep. With sleep apnea, the frequent arousals confuse this process. Additionally, the struggle to breathe that is characteristic of sleep apnea creates a higher vacuum in the chest, putting pressure on the heart and, interestingly enough, telling the kidney to make more urine. 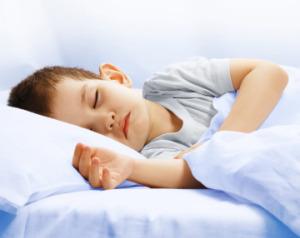 This connection between sleep apnea in children and bedwetting is an important one to keep in mind. And indeed, this talk of bed wetting provides us with a good segue to explore other parasomnias commonly experienced by children. A good way of remembering what paramnias are as they relate to children is to think of them as "things that go bump in the night." From sleep terrors to nightmares and sleepwalking, this is a good, if not 100% accurate pnemonic device. Parasomnias are a very common type of sleep disorder in children. They comprise problems such as confusional arousals, sleep terrors, sleep talking, sleepwalking, nightmares, and narcolepsy. We'll examine the most common of these below. Many pararsomnias are linked to a child's central nervous system (CNS), and as a result, children tend to outgrow many of these sleep disorders as their CNS develops with time. You can learn more about parasomnias in general here. Below we'll cover those specifically from the perspective of children. If you're a parent there's a decent chance you've witnessed your child wake up, looking a bit confused, maybe crying for a bit, and then drifting right back to sleep. These episodes are known as confusional arousals, and are typically not much of a concern at all. Confusional arousals can get quite a bit more alarming though when they transform into sleep terrors (also known as night terrors or pavor nocturnus). 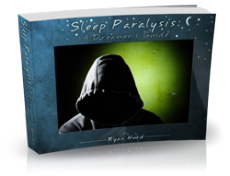 During a sleep terror, the child might bolt upright and begin screaming at some unseen fear. Several minutes usually pass before the child can relax and go back to sleep, and they typically have no recollection at all of the event in the morning. This can be extremely distressing as a parent, but like many other parasomnias, sleep terrors are likely to be grown out of as your child's central nervous system develops. That said, sleep terrors tend to occur with the most frequency between the ages of three and eight, and they are more common when a child is experiencing some sort of stress. Often to help prevent these events, parents attempt to alleviate any stress the child may be experiencing. Narcolepsy is a condition that often begins in the second decade of life, and therefore is apt to be included in any discussion of sleep disorders in children and adolescents. Click here to learn more about narcolepsy and its effects on an individual's life. Dr. Jim Chamness, of Helen DeVos Children's Hospital, gives a good overview of sleep disorders in children, highlighting some common ones but also giving us a perspective into what pediatricians are looking for when diagnosing childhood sleep disorders. As a parent, your children are the most precious things in your life, and when they have trouble sleeping or show irregular behavior during the day it can be very worrisome. You can share any thoughts, experiences, questions, or concerns you have regarding childhood sleep disorders below. Not only will we be able to answer your questions or give you feedback, but your insight could aid others who can relate to what you have experienced as well. If you don't have a picture that is relevant, feel free to upload one of yourself. We always love meeting our visitors! Click on the links below to read thoughts, questions, and experiences on childhood sleep disorders. They were all written by other visitors to this page, just like you. Help! Five Year Old Daughter Forever Crying At Night! My 10-Year-Old Son Will Not Sleep! Help! My 4-Year-Old Son Doesn't Sleep Much, Should I Be Worried? Is This Sleep Terrors or Anxiety Attacks? My 8-Year-Old's Sleep Disorder Involving Anxiety - ADD Related???? Sleepless Boy, Parents Needing Sleep! My 4 Yr Old Is Not Settling At Night! My Son Sleeps Little and Has Frequent Upset Awakenings at 14 mo. My Child Simply Will Not Sleep! !